What do you see in the vintage image below? You may see a few things, but you mostly see one of them that is probably a cat. Take a chance and try to figure it out yourself before you continue reading! A butterfly landed on this beautiful domestic cat! But this particular butterfly could be a bit tricky to spot because it is hidden somewhere on the cat's face. But do you see the hidden butterfly? Optical illusions are a great way to tease the brain. They can also symbolically teach us that things are often not what they seem to be. As is the case with the vintage image of the cat and his hidden companion! 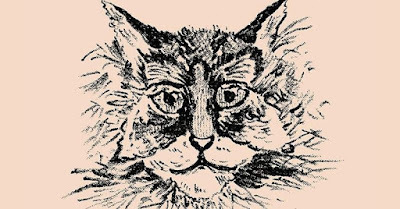 The image is part of a collection of maps of the 1800s and represents a feline friend. 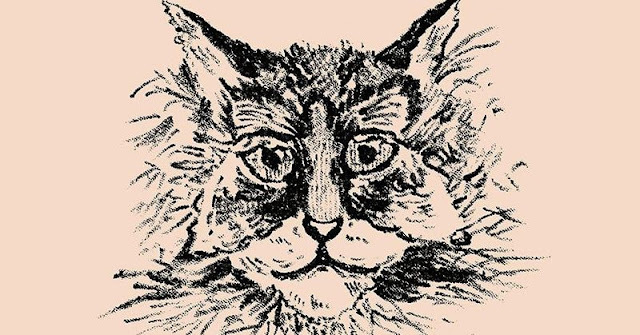 But there is another hidden animal, a butterfly, living somewhere on the cat's face. Do you see that? Now, make sure you watch this cat carefully!